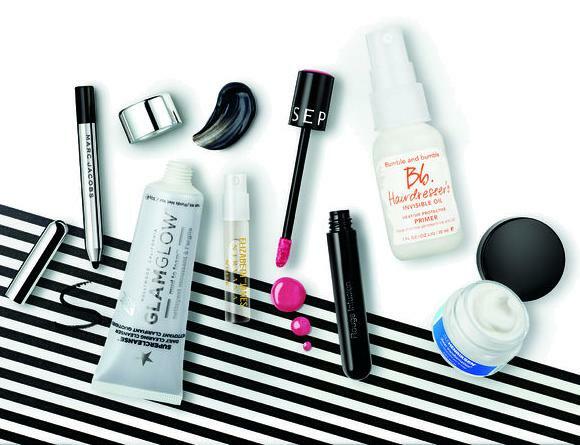 Sephora announced that the company will be launching their very own beauty subscription box soon. the box is called Play! by Sephora. The box features 5 deluxe sized beauty products (presumptly) from brands available at Sephora. The box cost USD10.00 and will be available in this September to a limited locality - Boston, Columbus, and Cincinnati. I don't comprehend why they start the operation in these cities instead of other major cities. However, I'm sure they have solid reasons for that. Sephora will be expanding to other states in the US before hitting other countries. So my dear girlfriends, let's pray hard they will launch it here soon. And some spoiler, the debut box will feature brands like Marc Jacobs, Ole Henriksen, Bumble and bumble, Glamglow and Sephora home brands. There will also be some additional add-ons such as exclusive passes to Sephora events, Spotify credit voucher and other stuff. I was thinking, finally this is the right company to start a beauty box! They have tonnes of beauty products that could have use for promotional purposes, brand connections and possibly a huge database on beauty users.Which company can be more appropriate than Sephora to start a beauty box? After seeing so many beauty boxes failed in Malaysia, let me know are you game for this? I'm in, though!